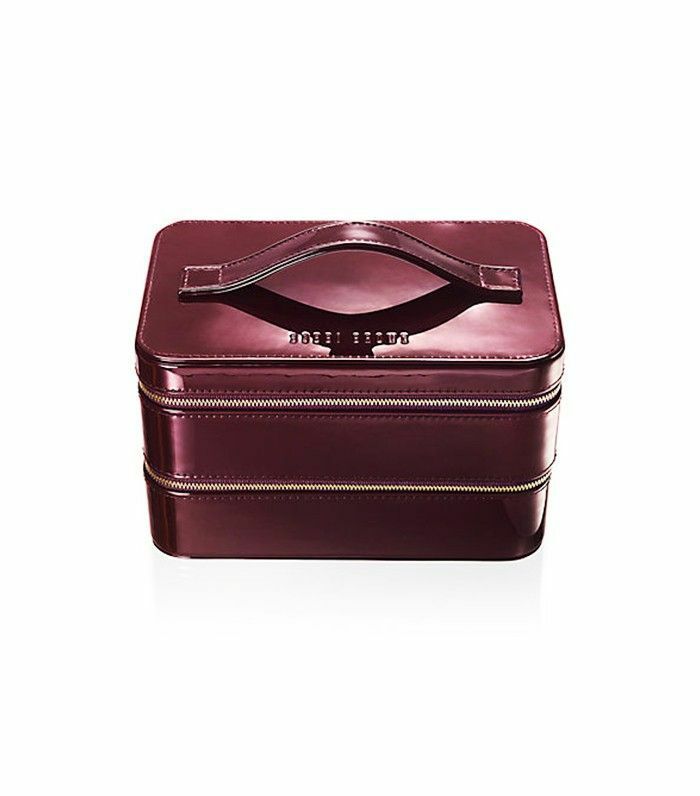 When it comes to your favorite beauty buys, you probably prioritize your cosmetics over the case you're toting them in. We're begging you to reconsider. 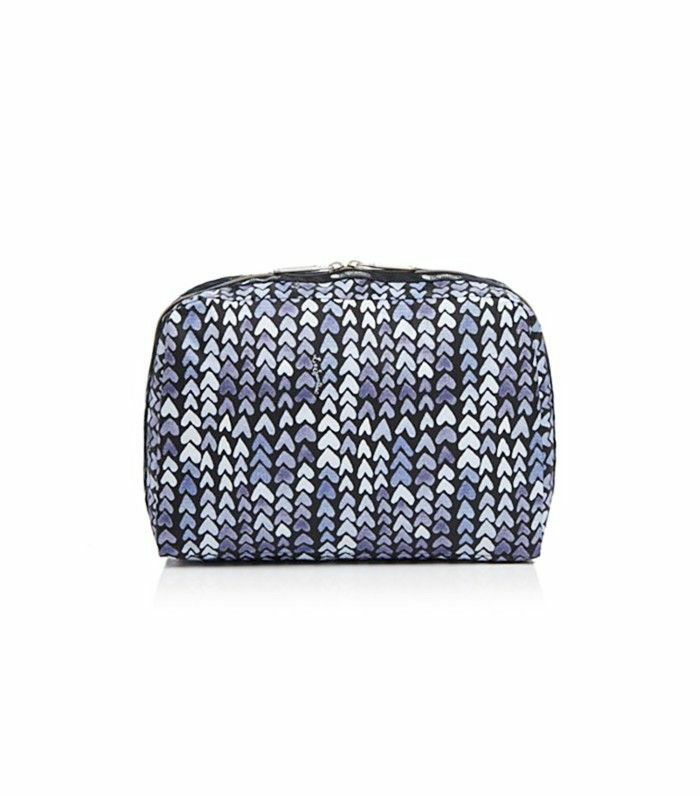 We carefully curate just what earns a spot in our makeup bags, so why not also have a covetable case to match? After all, you've invested in the products you swear by, so it's only fair to make sure they enjoy an equally impressive home. 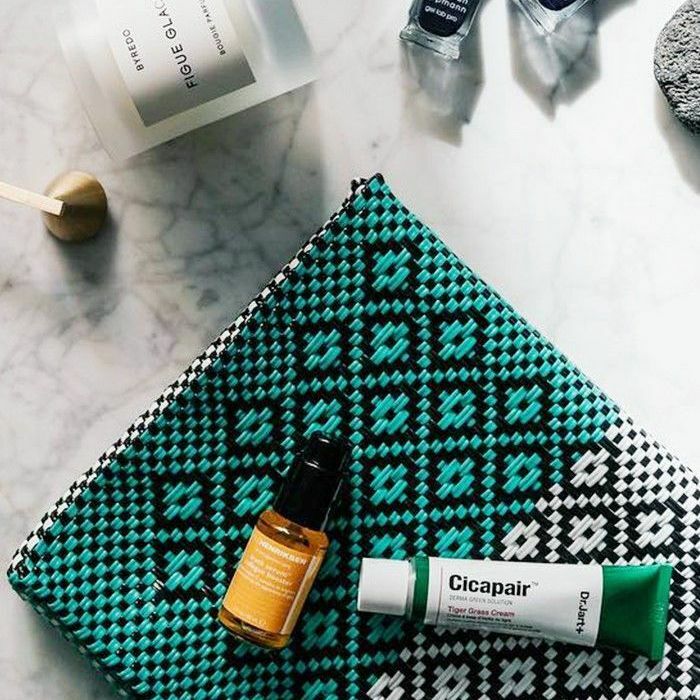 Upgrade your beauty routine from start to finish with these on-trend, on-the-go pieces that promise your beauty essentials are carefully kept while also looking super stylish in your day bag or on your bathroom counter. 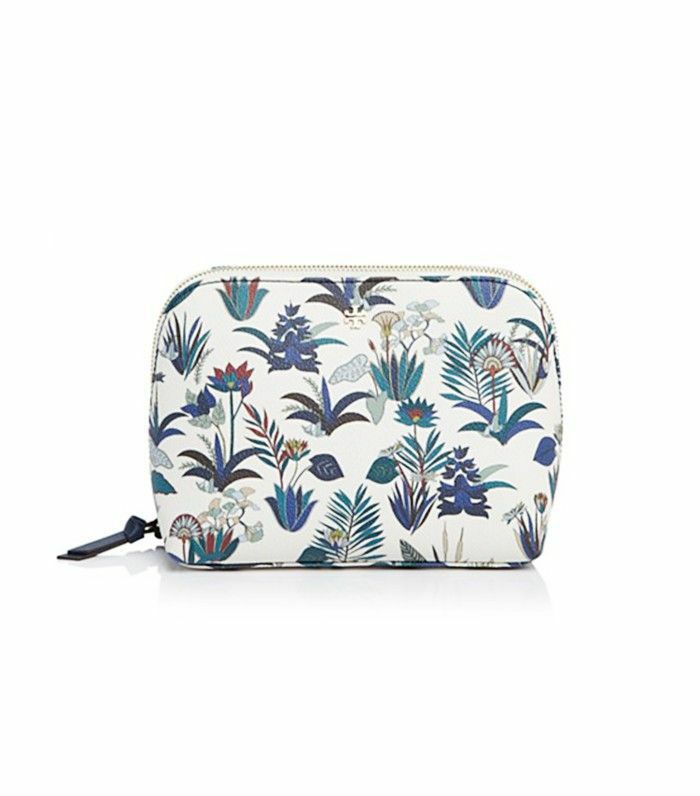 Keep scrolling to see, and shop our top picks for the most stylish ways to stow away your makeup. 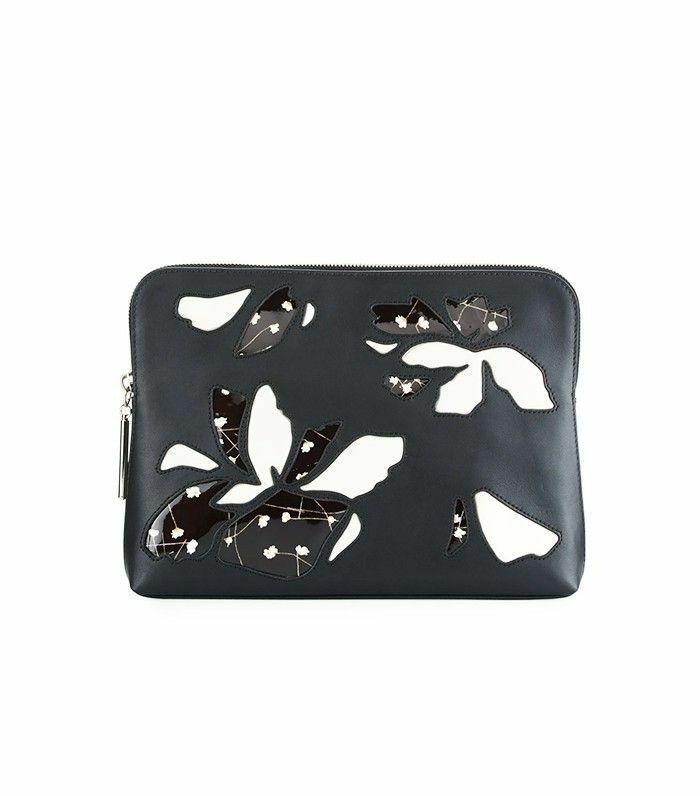 Phillip Lim's black-and-white beauty boasts laser-cut leather in a funky printed patent and solid matte combination. 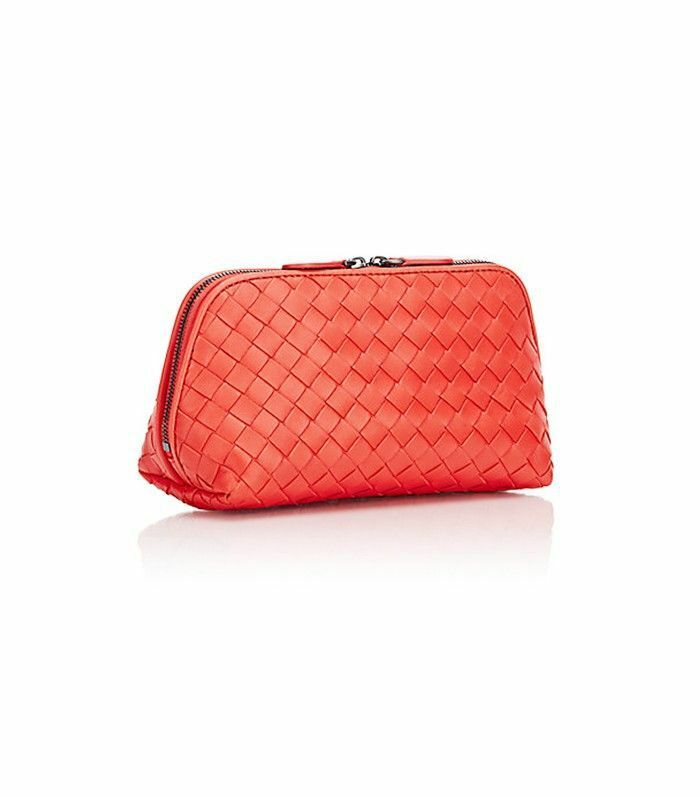 This mini variation of the iconic handbag of the same name will take your beauty experience to new heights (and doubles as a clutch you can carry on your wrist). 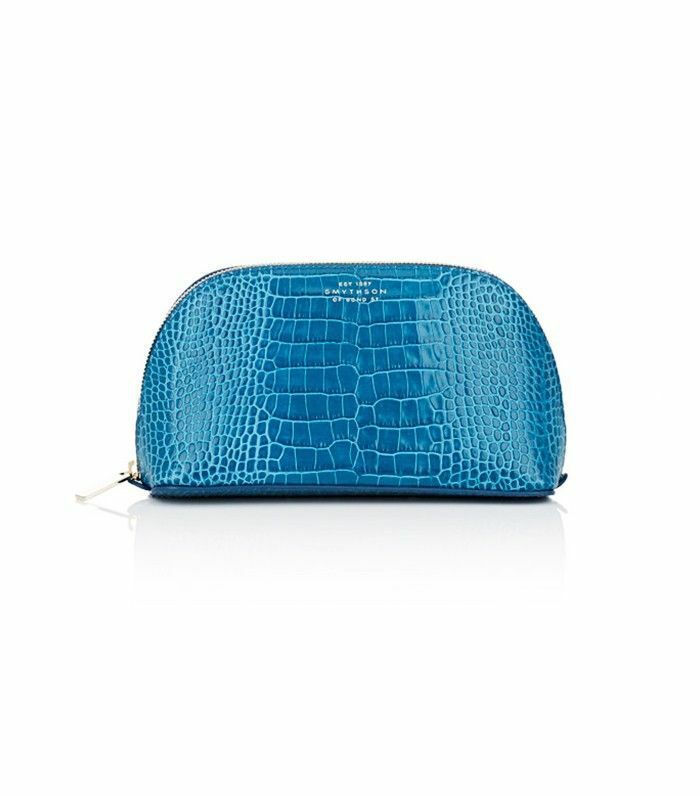 Crafted of croc-stamped patent leather in a radiant teal, this makeup bag adds a luxurious pop of color. 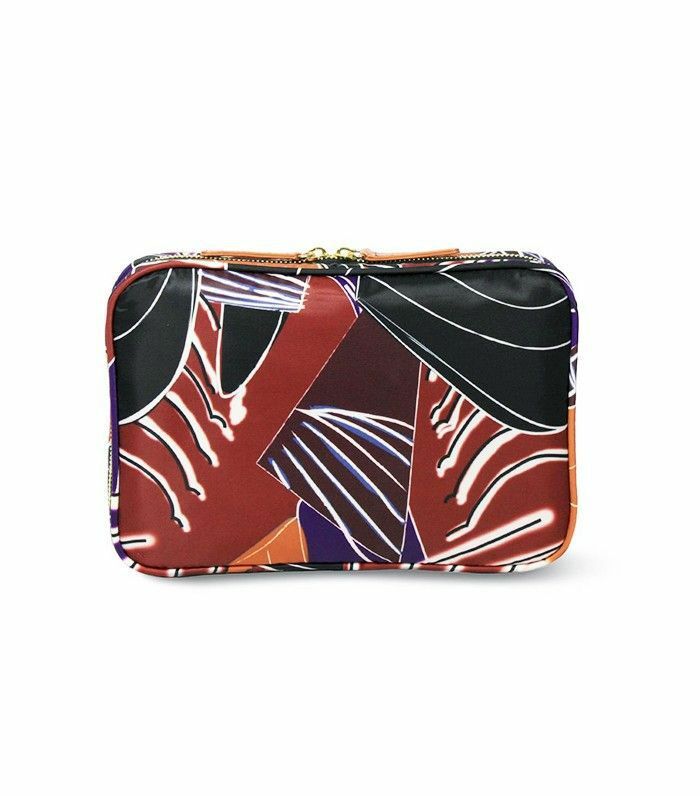 Sonia Kashuk's latest print in funky geometric blocks of burnt red and orange is simultaneously tropical and every bit ready for fall. 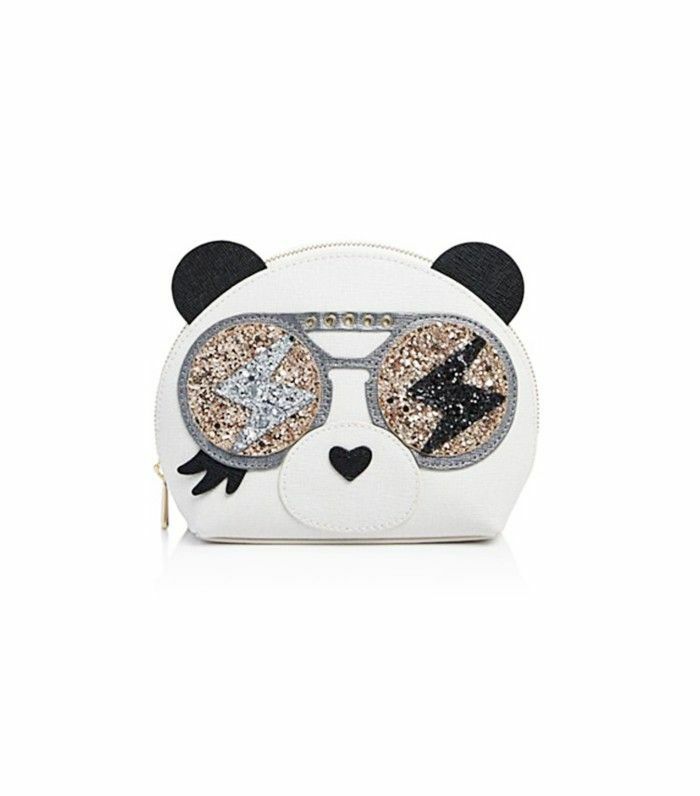 Get playful with this panda bear number complete with glittering shades. 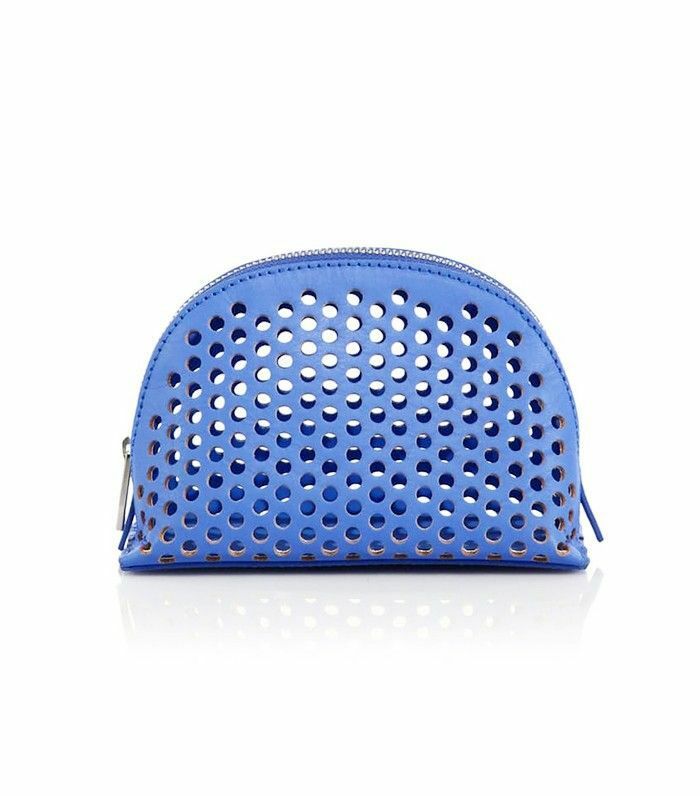 Give your beauty buys a little air with this dome-shaped cosmetic case made of perforated leather in an eye-popping purple. 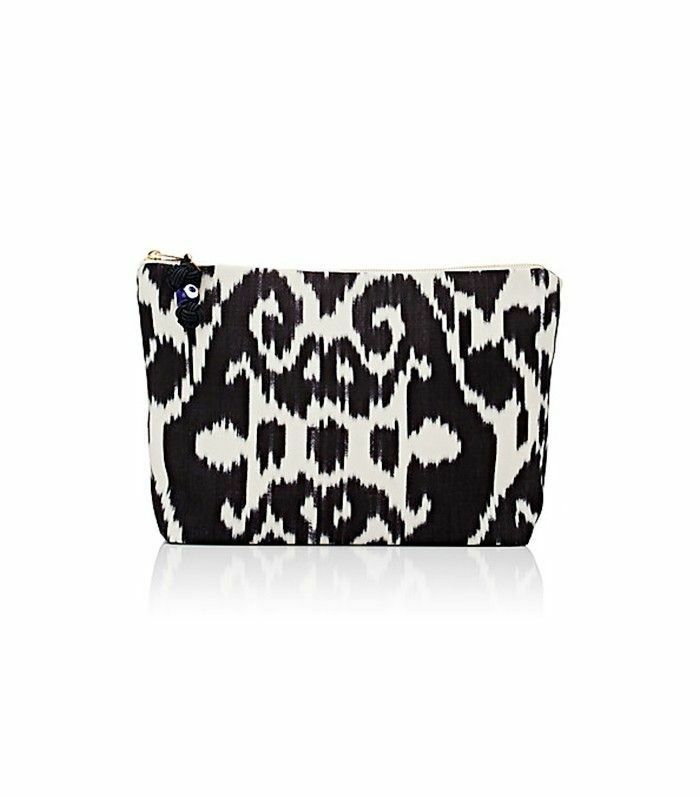 This ikat-print canvas bag gives off total wanderlust vibes, accented with a handmade glass bead from Turkey. You can't go wrong with this classic piece in the brand's signature woven leather. 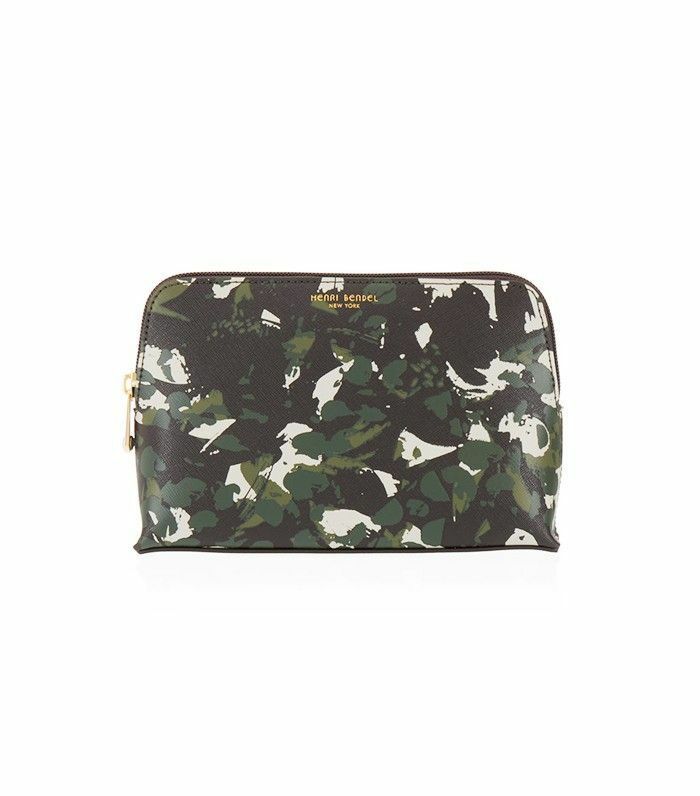 Hide your makeup away in this camo-inspired bag. 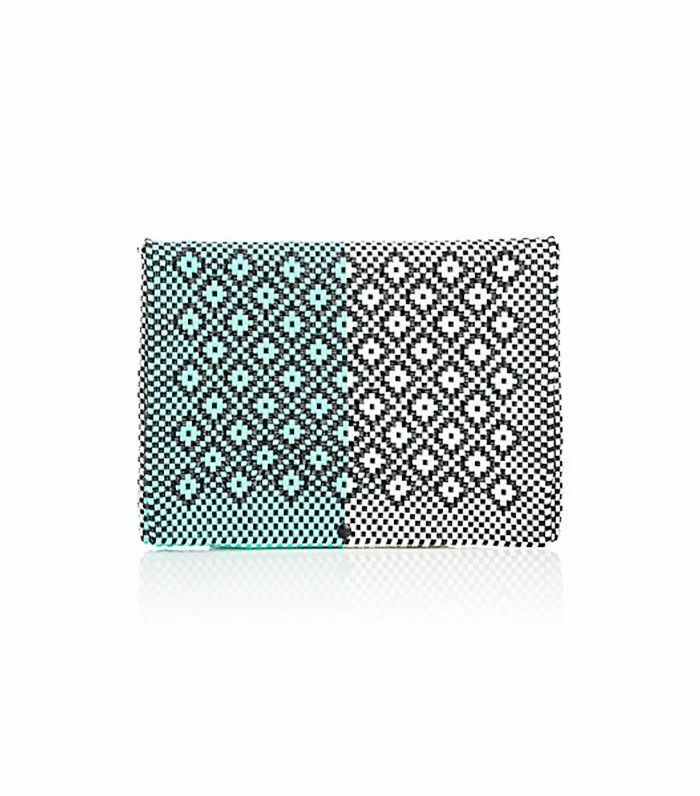 Made of recycled plastic, this oversize graphic folio was handwoven in Oaxaca, Mexico. Fall in love with this casual heart-printed nylon option. 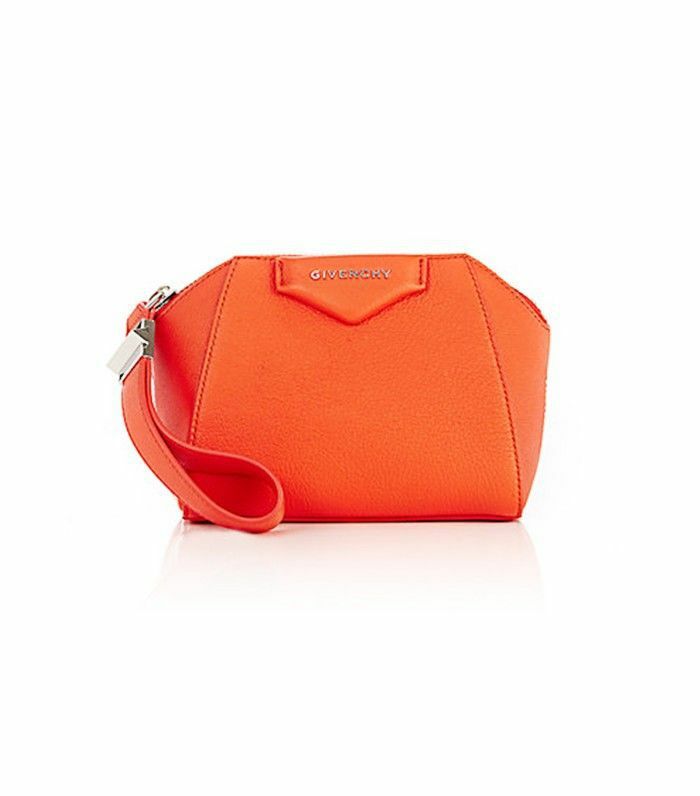 Preorder this leather multi-compartment solution to all your beauty organizing needs. Vintage-inspired florals decorate this classic, made for long-term wear in coated canvas. Comment to let us know which you'll be making your new home for your makeup. What's Inside Alessandra Ambrosio's Makeup Bag? The Victoria's Secret Model Spills All!